We are reckoned amongst the customers for offing a broad range of Atta Packaging Machines. Our products are highly demanded in the market for their effectiveness and durability. Customers appreciate us for offering high grade quality and safe to use Atta Packaging Machines. Moreover, we offer products at affordable rates. Advanced Packaging Systems was incorporated in the year 1995. 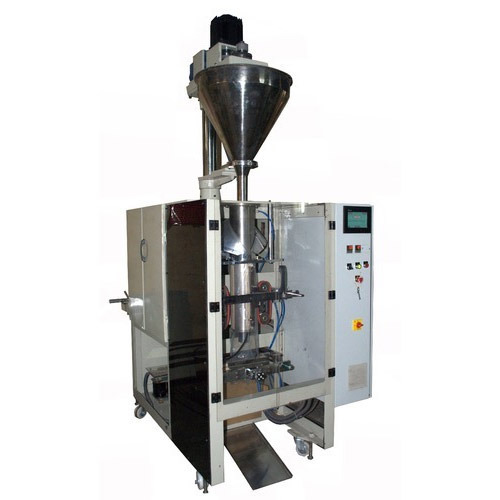 We started business as a sole proprietorship owned company and involved ourselves in manufacturing, exporting, trading and supplying a broad array of Pouch Filling Machines,Pouch Packaging Machines, Form Fill Seal Machines, Gravity Filler Machines, Linear Weigher Systems, Filling Machines, Packaging Machines, Viscous Liquid Packaging Machines and Liquid Packaging Machines. All our range is assembled using branded components as well as by incorporating cutting-edge production technology. Through implementing the same, we have improved our production capacity and are capable of accomplishing the desires of clients, which are growing with the passage of time. All our product range is admired among the customers for their easy and hassle free operations, less maintenance, corrosion resistance, precision engineering, compact designs, sturdy construction and more. Demand draft, cheque and cash are some payment options, which we provide to our valuable customers, in order to make the transaction of money hassle free as well as convenient.